Recent studies show that about 80% of the world’s largest 250 companies are already identifying non-financial issues in their materiality analysis and annual reporting, demonstrating that non-financial issues can be material. Material issues have significant implications for a company’s risks and opportunities, making them critical elements for decision making and strategy setting. According to the World Economic Forum’s (WEF) Global Risks Report 2018 four of the top five risks are societal or environmental and include extreme weather events, water crises, natural disasters and failure of climate change mitigation and adaptation. Further impacts of non-financial risks on business, as suggested by the WEF, are elaborated in the joint report published by the Committee of Sponsoring Organizations of the Treadway Commission (COSO) and the World Business Council for Sustainable Development (WBCSD). Outlining the application of Enterprise Risk Management (ERM) to ESG-related risks, the report suggests that businesses need to become more proactive in identifying, understanding and addressing ESG related issues. It explains: “Whether [proactive approach] means reducing or removing the risk, adapting and preparing the company for if and when it occurs or simply being more transparent about what the business is doing”. The report clearly indicates that addressing ESG risks becomes imperative for an effective enterprise risk management. The Materiality concept applies in a wide variety of contexts: accounting, reporting, business, financial, legal, risk and, more recently, non-financial issues. One of the statements of the common principles of materiality indicates that material information is that, which is reasonably capable of making a difference to the proper evaluation of the issue at hand according to the Corporate Reporting Dialogue. The Corporate Reporting Dialogue includes the eight principal organisations chartered with establishing standards and guidance for reporting, such as; the Global Reporting Initiative (GRI), the Sustainable Accounting Standards Board (SASB), the International Integrated Reporting Council (IIRC), the Climate Disclosure Standards Board (CDSB), the Financial Accounting Standards Board (FASB), the Carbon Disclosure Project (CDP), the International Financial Reporting Standards (IFRS), and the International Organization for Standardization (ISO). What is a materiality analysis? Materiality assessment or analysis is a process in which you identify the environmental, social, governance and broader emerging issues, such as digitalisation, innovation, geopolitical events that are most important given the operating context of your business. It has become a critical process for companies; alongside the increase of non-financial disclosure requirements, voluntary disclosures are quickly becoming mandatory provisions. While there is much uncertainty in predicting future risks and opportunities, the materiality analysis process lets you make predictions in the most robust way possible. Ultimately it is about ensuring your company is as resilient as possible and ready to tackle the future. Whatever approach you take to your materiality analysis, there are some tips to help you make it as perfect – and fast – as possible. Materiality assessments that use stakeholder surveys as the main (or only) source of information are only capturing the tip of the iceberg. The truth is that there is a whole array of supplementary information that should be analysed if you want to produce the perfect materiality assessment. Annual and sustainability reports and regulations that impact corporate disclosure make up the first important layer to consider. Companies also need to factor in how their peers, industry leaders and regulators are shaping the issues relevant to their industry. Beyond the competitive and regulatory pressures, there are also the fast-changing and dynamic voices of the public and the media. In an increasingly digital age, corporate reporting must reflect the agility of social and traditional media and integrate the issues raised into any materiality analysis. To ensure you have a comprehensive view of the company’s material issues, it’s important to listen to as many different voices as you can – not just through surveys, but also by monitoring what’s happening across a range of channels. International organizations that produce the guidance and standards for managing and reporting on material issues have spent decades working with a wide variety of stakeholders to make sure their guidance is comprehensive. You don’t need to reinvent the wheel here – tap into their expertise and take their lead. You may be familiar with some of the available reporting bodies, such as the Global Reporting Initiative (GRI), the Sustainable Accounting Standards Board (SASB), and the IIRC. There may be alternative frameworks you wish to align parts of your assessment to, like the Sustainable Development Goals (SDGs) or the Task Force on Climate-related Financial Disclosures (TCFD). Whatever frameworks you choose, it is important to be clear about which you have used, and to what extent you have applied them. Familiarise yourself with the available frameworks and standards, and use them in the best way possible for the company. But don’t feel confined by their limitations! A robust materiality analysis now requires you to benchmark against your direct peer group, the sector as a whole, industry leaders and region. What are the leaders in these areas looking at as material issues, and what are the laggards doing differently? The result of extensive benchmarking will be a more accurate reflection of your company’s position, giving you a more realistic picture from which to set targets and base the company’s strategy. More and more regulatory initiatives that impact corporate disclosure are being introduced, and these regulations are fast becoming an important component of a detailed materiality assessment. Since 2010, there has been an increase of more than 20-fold in the number of recorded ESG regulations. There are now more than 4,000 regulatory initiatives – current and draft – that need to be considered. And this trend looks set to continue. Including existing and emerging regulations in your materiality analysis helps you keep ahead of developments that could have a significant impact on your company, today and in the future. There is a big opportunity for CSR teams to broaden the non-financial conversation into other parts of the business, placing the issues they care about on the corporate agenda and adding value to the business’ direction. As the field of sustainability becomes increasingly connected with risk management, communicating with risk and compliance is becoming a larger part of the agenda. Even if this is already the case in your company, the assessment is a useful tool to continue the conversation. To get the most out of this approach, frame your materiality analysis in a way that you can gain buy-in from the people that can increase the impact of the assessment. Speak their language, rather than falling back on sustainability jargon. How you choose to present the results of your materiality analysis can have a big effect on its results and its wider impact on the company’s strategy. For many, the materiality matrix that results from the analysis will be the key mechanism that links material issues with corporate strategy. It’s the tool to convey the competitive, regulatory or reputational risks for the business. 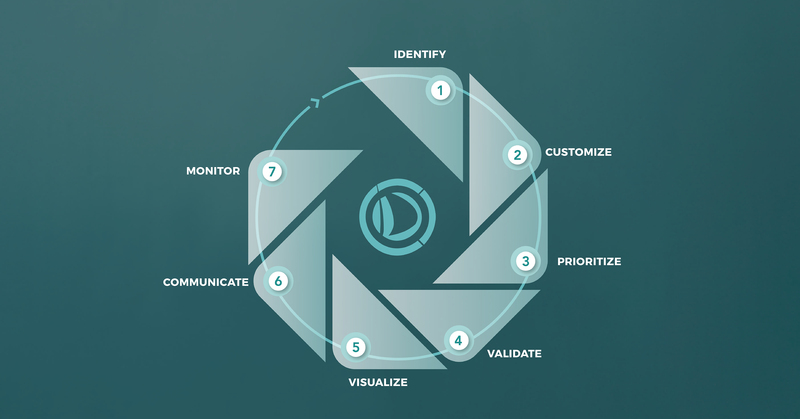 Data visualization is a powerful communication tool – get it right, and your materiality analysis could help strengthen the company’s overall business strategy. And breathe. The completion of a materiality assessment is always a good time to pause. You deserve it. The hard, analytical work might be over, but the material issues you identified, and the context in which the business operates, will continue to change. Their pace of evolution means the materiality analysis is no longer as valuable as it could be if it remains an annual exercise. How will you keep on top of changes in the months to come, before your next full analysis? Make time to keep on top of the changes that affect your material issues after your matrix is complete, and record the information. Want to unlock the seven secrets to the perfect materiality analysis? 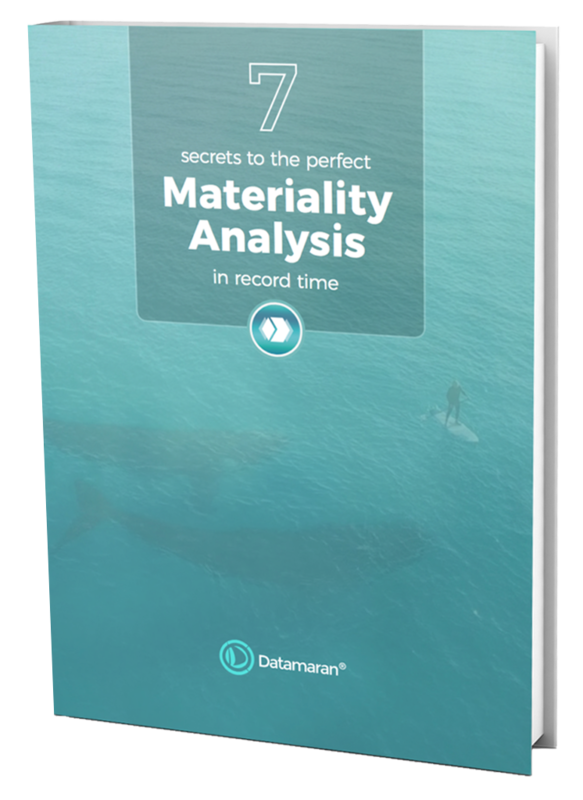 The Seven Secrets to the Perfect materiality Analysis e-book gives you an in-depth and step-by-step guide on how to conduct a robust and time efficient materiality analysis in seven easy steps. 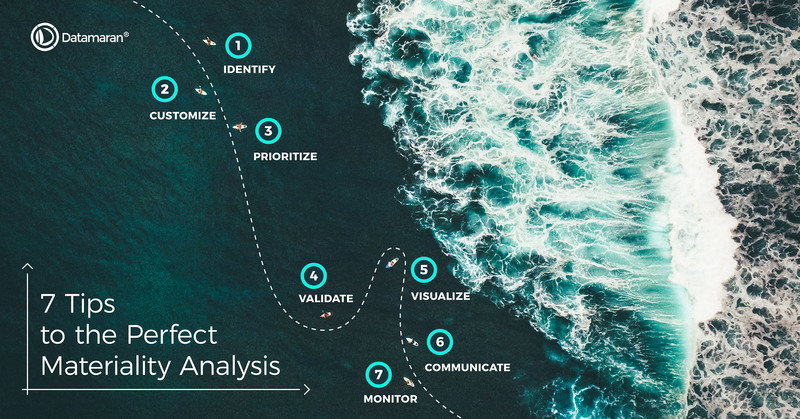 Whether you’ve done your assessment before or only thinking of starting your first one, with these seven key insights you will be able to create the perfect materiality analysis for your organisation.